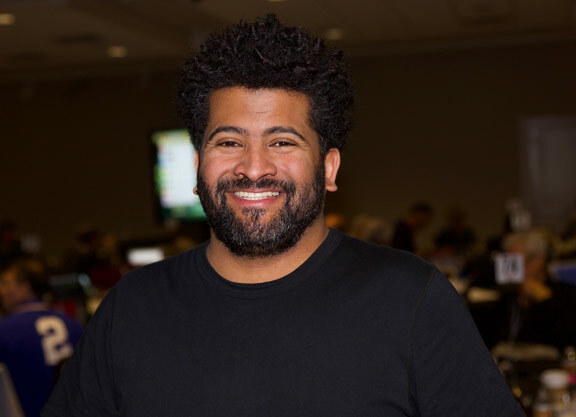 LAS VEGAS, NV.–Jonathon Kinchen is maybe the closest thing the handicapping world has to a rock star. In little more than four years, Kinchen has gone from an unknown real estate investor with little tournament experience to a commentator on Fox Sports’ Saturday at the Races. He’s arguably the most recognizable and popular player at the NHC, and it’s easy to see why. Kinchen’s young (for a horseplayer), he can pull off the odd tropical shirt, and his sleeved left arm is covered in tattoos of Barbaro, Rachel Alexandra and Zenyatta. His Tweets are often clever, and even his Twitter handle–@UTBigHair, a nod to his alma mater–is above average. At root, though, the 36-year-old Kinchen is simply a good horse player. He remains the only player in NHC history to have both of his entries qualify for The Final Table, and in 2015 he won the NHC Tour, a testing year-long series of NTRA-sanctioned events. You’d be familiar with Kinchen’s introduction to handicapping. He grew up in the Dallas/Ft. Worth area, and his father often brought him along on trips to Lone Star Park. Kinchen fell in love with the puzzle of handicapping while at the University of Texas at Austin. 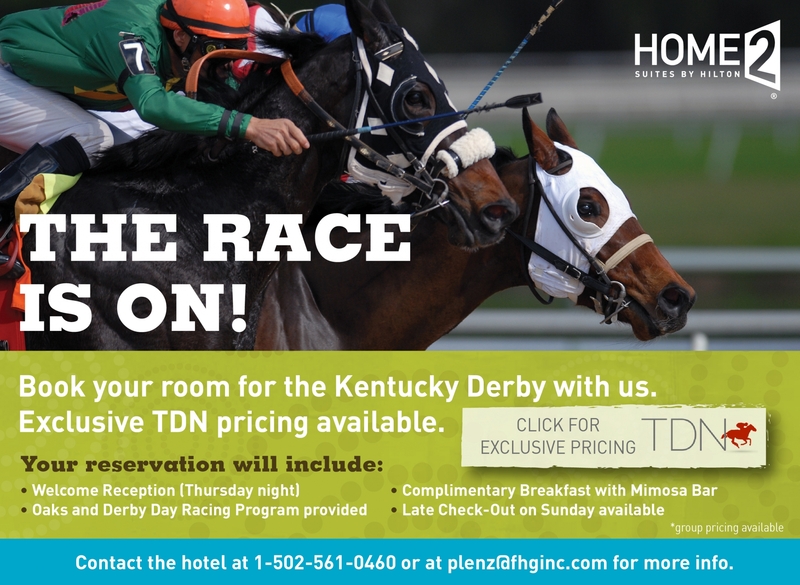 On Kentucky Derby Day in 2005, he and some friends made the trip to the now-defunct Manor Downs, about 45 minutes from the city. Kinchen went with $100 and was down to his last $15 after tying several bets to Afleet Alex. He put five across the board on Giacomo with the remainder, cashed for $500, and bought the keg that night like a conquering hero. The next day he bought Steve Davidowitz’s Betting Thoroughbreds for the 21st Century. Kinchen was still a casual player in 2010 when he attended the GI Belmont S. But an $84,000 Pick 4 score changed his perspective. When Texas outlawed ADW wagering, he began playing online contests instead. In the first contest he played, Kinchen qualified for the Breeders’ Cup Betting Challenge (BCBC), and the following year, in 2015, he qualified for the NHC for the first time. Both of his entries qualified for The Final Table, but rules allowed for only one to advance. He finished seventh and earned a total of $84,000. “And I rode that momentum out to winning the tour that year,” he said. That same year, he won an online contest on Derby Day, and also cashed for $150,000 after nailing a Pick 6 and a $300 cold Pick 3 that paid $50,000. Kinchen has qualified for the NHC every year since, and in 2018 checked in at 67, his best finish since his inaugural run. At the windows, Kinchen prefers multi-race wagers. “If I love a horse at 4-1, and with takeout and in this day and age of computer wagers, I need to turn that into 14-1,” he said. Kinchen recently joined the on-air team at Fox Sports’ Saturday at the Races, and has already endeared himself to the viewers who heeded his advice on Kinchen’s very first broadcast. On that show, Kinchen gave out a 20-1 winner at Oaklawn Park as his final play of the day. Kinchen also seems to have the golden touch as a horse owner. Back in 2017, he noticed the racing prospect Long On Value (Value Plus) was purchased by his friends at Ten Strike Racing at Keeneland November, and texted the principals, NHC regulars Marshall Gramm and Clay Sanders. Last summer, Long On Value won Churchill’s Mighty Beau S. for his new connections, then gave both Kinchen and Ten Strike their first Grade I winner in the Highlander S. at Woodbine. So far that’s been his only runner, but he’s expressed an interest in operating a claiming operation at some point. Plan on seeing more of Kinchen this summer at Saratoga. Along with the newly named host Gary Stevens, he’ll appear on Fox Sports’ daily coverage of the meet. In the meantime, he’s keeping busy with In The Money Players’ Podcast, which he does with tournament expert Peter T. Fornatale. With just a few optional races to go, Robert Gilbert led the leaderboard during Friday’s opener of the 20th NTRA National Horseplayers Championship, presented by Racetrack Television Network, STATS Race Lens and Treasure Island Las Vegas. The double qualifier from Yardley, PA had amassed a bankroll of $198.20, just ahead of the $180.00 put up by John Pinder. Some notables in racing to mention include Ten Strike Racing’s Marshall Gramm, who has two entries. Gramm was sitting in 206th on his preferred entry toward the end of the day before rocketing to 10th with a bankroll of $132.40. Track announcer Vic Stauffer was in 48th with $95.60, while Little Red Feather principal Gary Fenton was tied in 182nd place. Little Red Feather partner Joseph Rosen, the leading rookie during the NHC Tour, had a big opening day, checking in at $141.90—good for 7th place. Rosen is eligible for a $1 million bonus should he win the NHC. TVG’s Dave Weaver was in 114th. 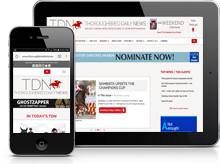 To check on Friday’s final results, visit www.ntra.com.